It looks like Mark Hamill may have spent his weekend digging through some of his old Star Wars boxes in the attic and reminiscing about the lightsaber duels of years past. 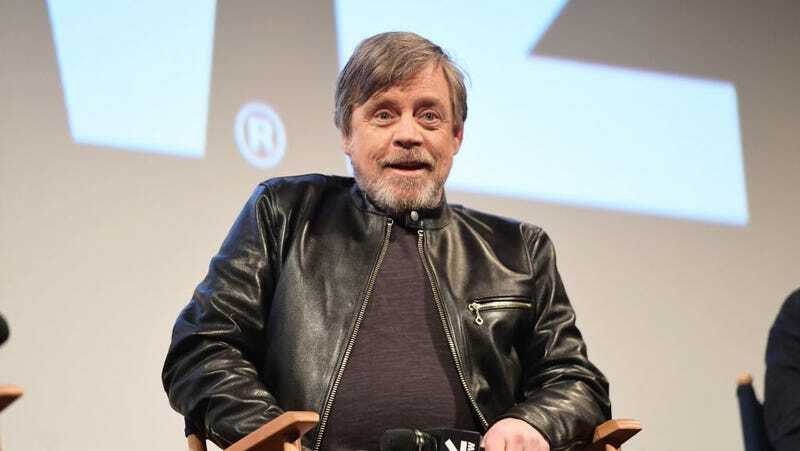 The actor took to Twitter this week to share his trip down memory lane, and offer some criticism of the way Luke Skywalker has been portrayed in action figure form over the decades. Starting with the 1970s Kenner line, the plastic Jedi has evolved from laughably inaccurate to creepily realistic. But Hamill has his own way of categorizing them. Depending on when you were born, you may have more emotional attachment to the original “Generic Lemon-Haired Ken Doll Luke” or the 1990s “Pumped-Up Roid-Rage With Balcony You Could Do Shakespeare From Luke” that Kenner/Hasbro produced. No one quite knows what happened to Luke between the release of those two toy lines, but he was clearly hitting the gym. If you were an exceptionally lucky kid, you had a “Black-Haired Semi-Conscious Adult-Diaper Luke” so you could reenact Luke’s recovery after almost freezing to death on Hoth. Everyone knows that five-second scene in the bacta tank is the best part of the whole trilogy.